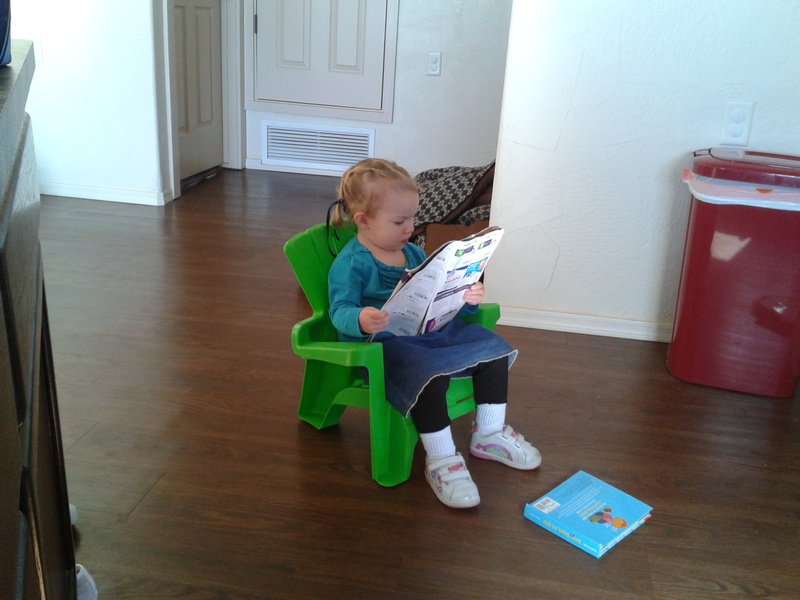 I caught Lydia “reading” the “Paper” (the Babies R Us ads). LOL! She loves to look at the pictures and all of the colors. 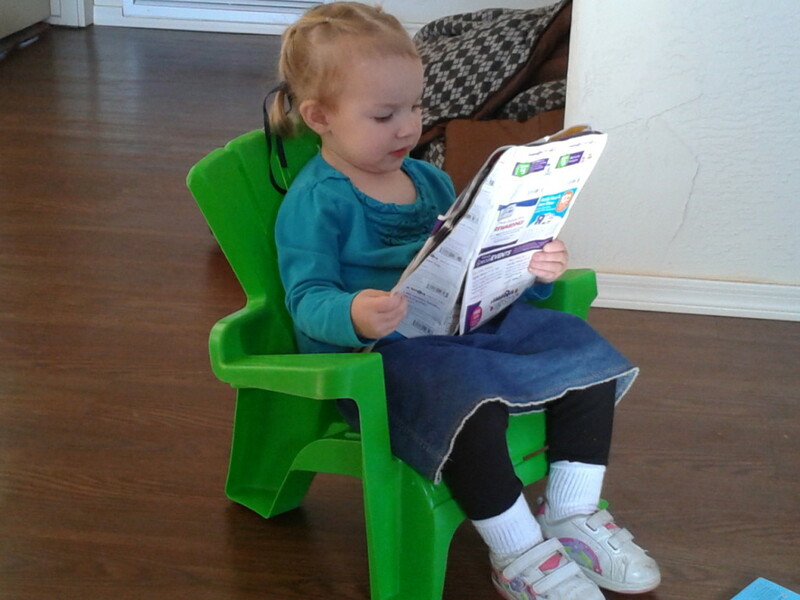 It reminded me of a big person reading the paper. I decided to capture it on video. Enjoy! ← More 52 Projects/52 Weeks items.